I received produce from Melissa's and a Silpat for recipe development in conjunction with #FabulousFallBounty. All opinions are honest and my own. This sweet and savory appetizer is full of all the good stuff. Pears, melty brie and fresh flatbread. 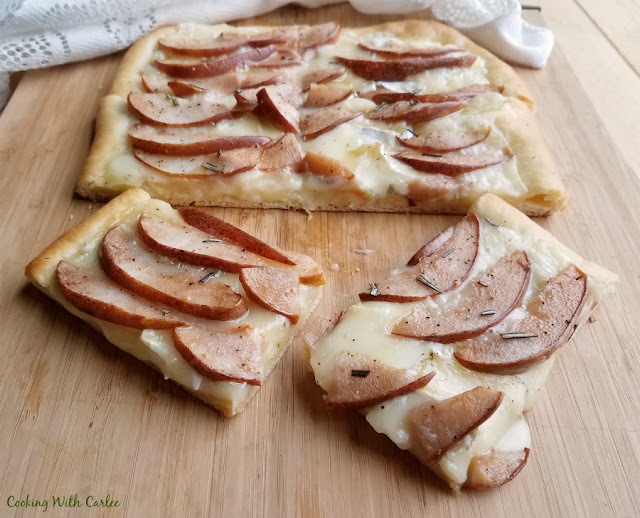 It is quick, easy and oh so tasty! Holiday parties call for appetizers. They are usually one of my favorite parts. In fact, parties could all totally be appetizer and dessert buffets and I would be totally fine with that! 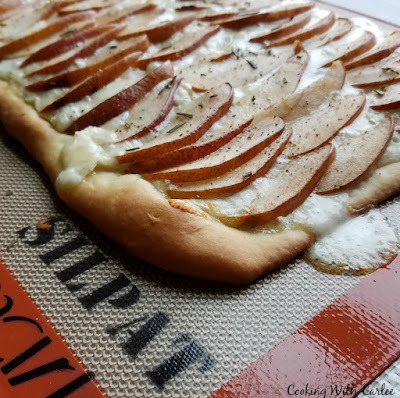 So I thought I would make you a fun flatbread that is perfect for a holiday nosh table. It would also be fun served with a simple salad for lunch. Or heck, it would be perfect with a bottle of wine and a date with the couch. No judging here, however you want to enjoy it is fine with me! I knew I wanted to do something fun with the great Melissa's pears I received. I originally was thinking scones, but I couldn't get the idea of gooey cheese out of my head. 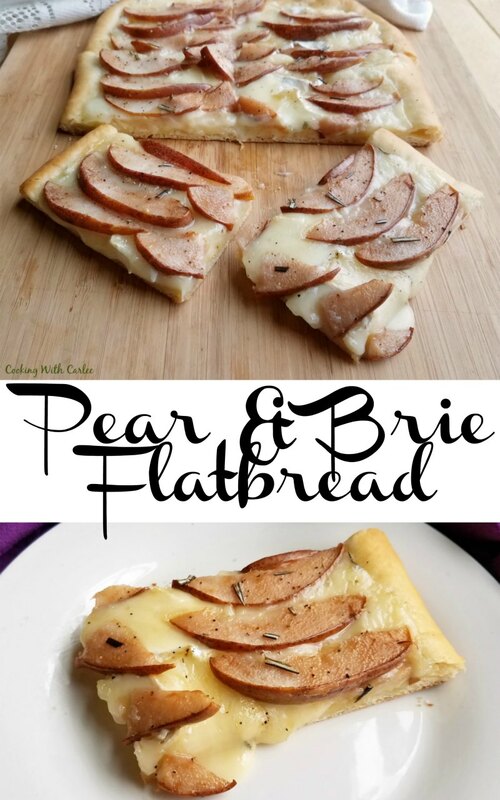 So I settled on a flatbread loaded to the gills with pears and brie. I thought of just picking up some naan for a base, which would be really lovely as well. But we were baking up some homemade crescent rolls, so I just used some of the extra dough from that instead. Feel free to use a tube of dough or even some pizza dough if you prefer. It would all be wonderful! If you want to accentuate the sweet, you can drizzle the baked flatbread with a bit of honey. If you want to accentuate the savory, some toasted walnuts would be perfect. Or heck, do both! I went with honey since my husband wouldn't touch it with nuts. As it was he happily gobbled up a few pieces. It was a perfect light weekend lunch before a big family dinner! Preheat oven to 400 F and line a cookie sheet with a silpat. 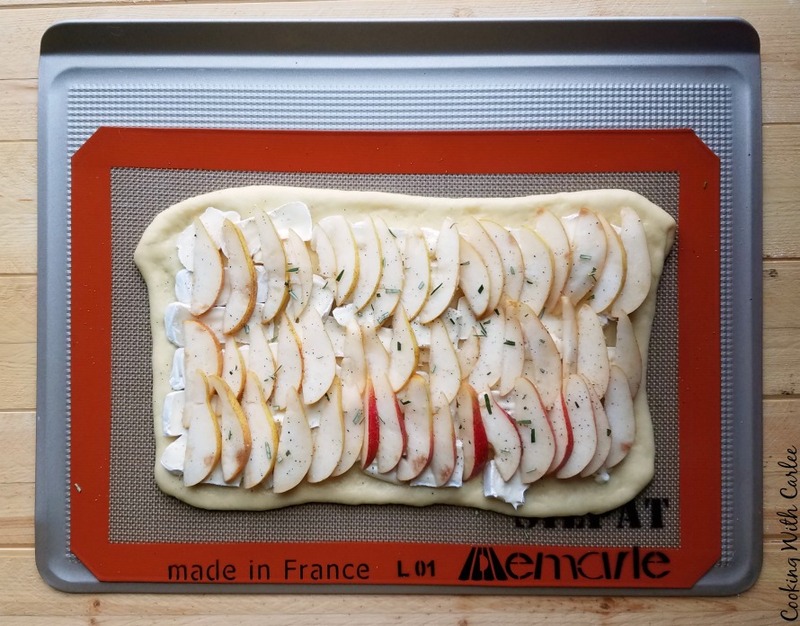 Roll the crescent dough out into a rectangle. Place on silpat and set aside. 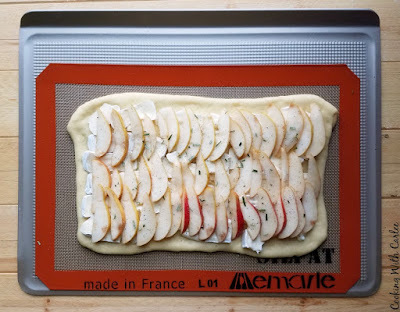 Slice the brie and arrange over the crescent dough. Core the pears and slice thinly. Arrange over brie. Sprinkle with salt, pepper and chopped rosemary. 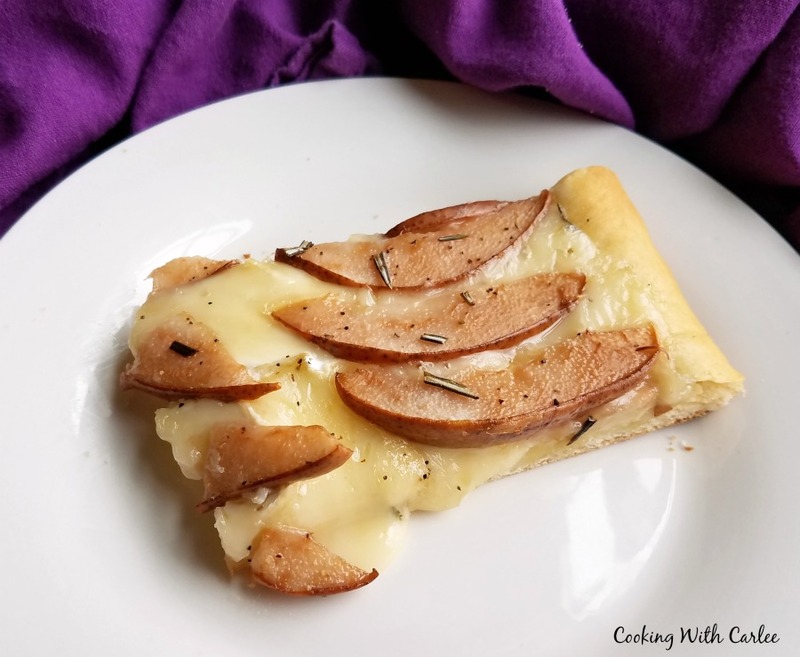 Bake for 12-15 minutes or until cheese is bubbly and the crust is light golden brown. Serve with toasted walnuts or a drizzle of honey. Pears and Brie is one of my favorite combinations. Mine too, they just play so nicely together. Thank you! OMG Carlee, this is definitely getting served up with my next charcuterie tray. I'd happily have some for breakfast! Great idea! Thanks, Agness! I love this combination for your awesome appetizer! Thanks so much for sharing with us at our Thanksgiving Edition of Full Plate Thursday! Hope you have a great week and come back soon!